LEGOmaniac for life, TR has never forgotten the joy that playing with LEGO brings. With three young sons it is just further reason to never stop playing. Typically a SPACE! builder, but has been known to dabble in TOWN! as well. Has to yet to try CASTLE! in any meaningful amount. So please feel free to check out his flickr account if you are up for some SPACE!, the occassional TOWN! and very little, if any CASTLE! I always love builds that use a specific part to great effect. 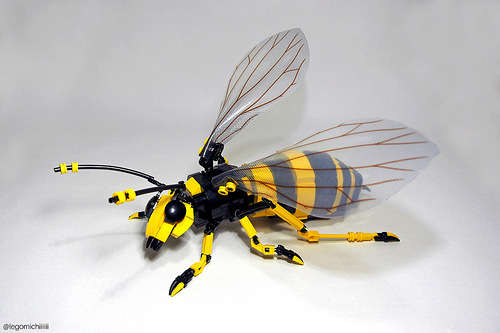 Case in point is Takamichi Irie‘s utilization of the wings from an Ant Man LEGO set on his macro scale hornet. The shaping of the segmented body and precise colour blocking is expertly done. 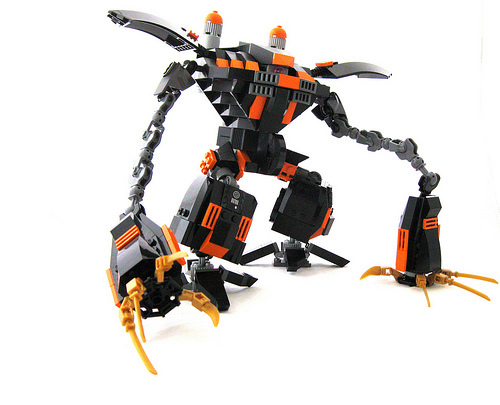 Not to mention the lovely combination of technic parts and robot arms for the legs. 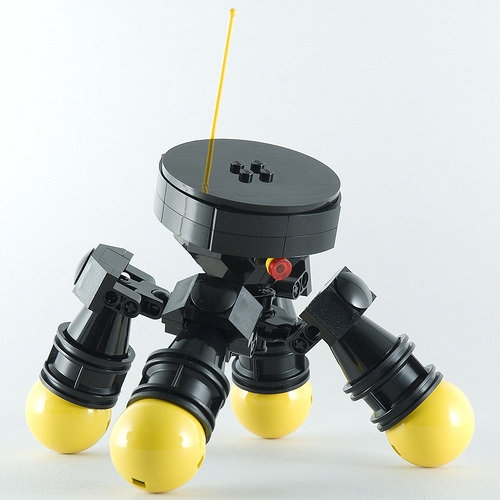 The model appears to have a fair amount of articulation, allowing for some realistic poses. Couple that with some nicely presented photographs and these shots almost appear to be out of an entomology journal. Romanian builder Letranger Absurde has been working on a series of horror movie vignettes, the latest of which is from 1984’s Nightmare on Elm Street. The ingenious parts usage for creating the famous scene of Freddy Krueger coming through the wall is eerily accurate. The use of minifigure shoulder armour for the hands and an Emperor Palpatine head are both quite clever and perfectly capture Freddy. It all comes together to create a believable scene that is actually somewhat unnerving to look at. Mecha legend Mladen Pejic has built an interesting pair of quad-legged rovers in Blactron I & II livery, using an ingenious technique to create spherical rollers as opposed to wheels. The resulting ‘legs’ give the rovers a wonderful sense of character and allow all manners of dynamic posing. Of the two, my favourite has to be the Trespasser shown above…mainly because of the surprising cockpit. I can’t think of anything that would be much cooler than having a loyal robo-dog. Now Botdog by Gamabomb is most definitley high on the cool index. 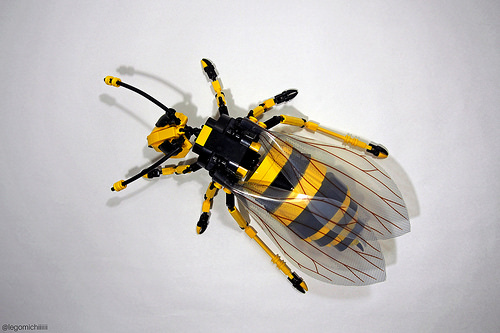 This thing borders more on high-quality concept art than a custom LEGO creation. 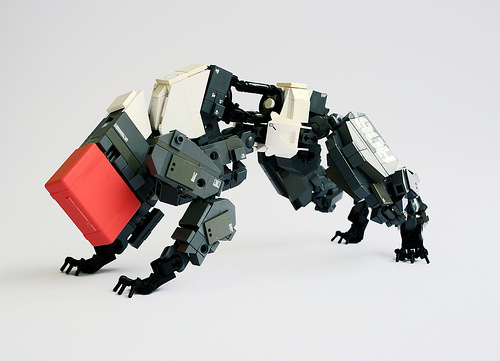 The mixing of both old and new dark greys, coupled with some very nice colour blocking and believable mechanical detailing create a realistic bot that appears like it could actually move. When you add a cyborg handler the build just gets better. 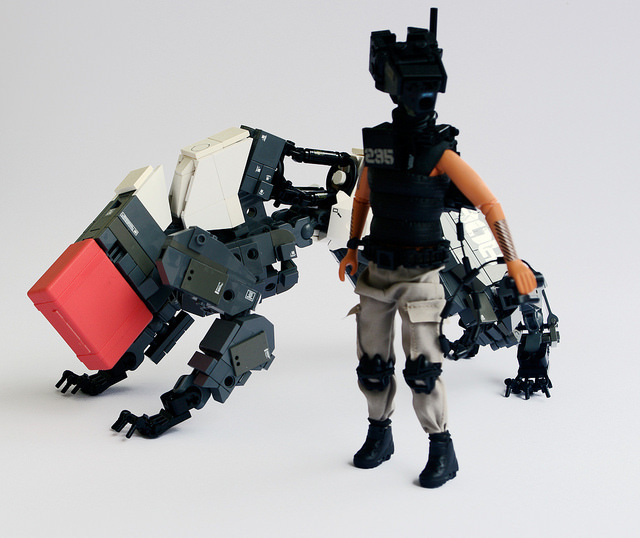 By putting a KELOID-esque cyborg head on a Scala doll body the resulting character perfectly matches the style of Botdog and really contributes to the uniqueness of the build. This is Botdog. Loyal as all heck. 13/10 would definitely boop that big red snoot. But where are Princess Ida & the Totem? Ok, I have to admit when I first saw this I immediately thought it was supposed to be from Monument Valley, the addicting puzzle game from ustwo. But alas, Bangoo H was actually building the Hanging Gardens of Babylon – one of the seven wonders of the ancient world. 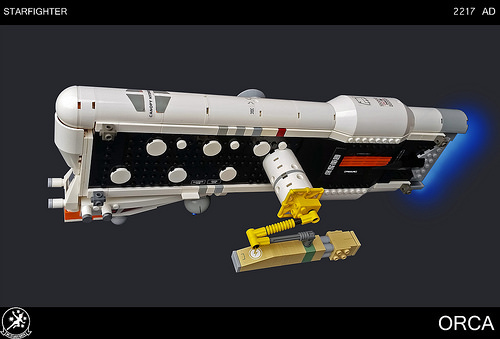 However, my misinterpretation of the source material most certainly did not take away from the fact that this is a serene little model that is wonderfully built. 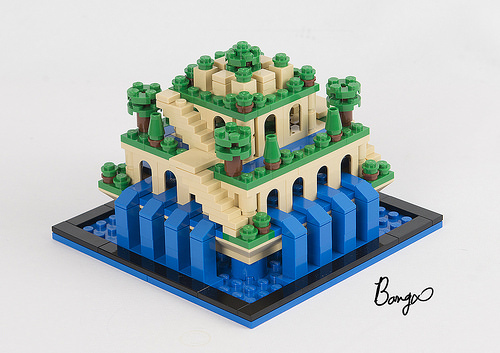 The cascading water, terraces and steps all come together to perfectly represent some of the funnest levels of the…oh sorry…I mean, the ancient Babylonians’ amazing feat of engineering. 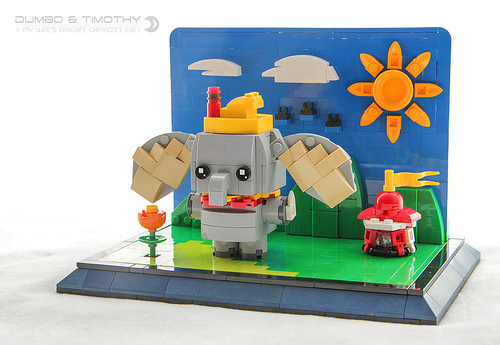 You can’t get much more adorable than this little blocky representation of Disney’s most famous elephant. David Liu says that he built this because Dumbo is his wife’s favourite character. And I am glad he did, because that has always been one of my faves as well. David has done an amazing job portraying Dumbo at a relatively compact scale. But the little display stand really takes the overall build to the next level. With some very efficient parts usage David created an instantly recognizable scene, in particular the use of the black 1×1 clip plates as the three crows is super clever. Australian builder Shannon Sproule has once again created a stunningly unique sci-fi model. 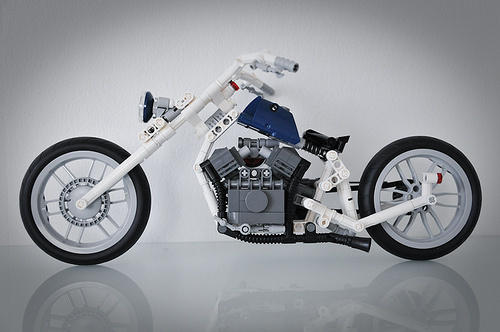 Shannon has a real knack for being able to use a minimalist parts palette to great effect in his builds. The repeated pattern of the white tiles on the side of this craft is what initially catches the eye, but the various hits of colour throughout really make the model pop. Not only is the ORCA nice to look at, but it also would be incredibly fun to play with. With a hidden missile port in the nose and modular equipment hardpoints on the lateral pylons, she is just begging to be swooshed. Shannon built this for the ongoing Real World +200 contest in the Flickr Starfighters group. In fact my Orcinus class gunboat that we featured last week was built for the same contest. And yes, I did get a chuckle out of the fact that Shannon and I chose to name our ships after the same whale. 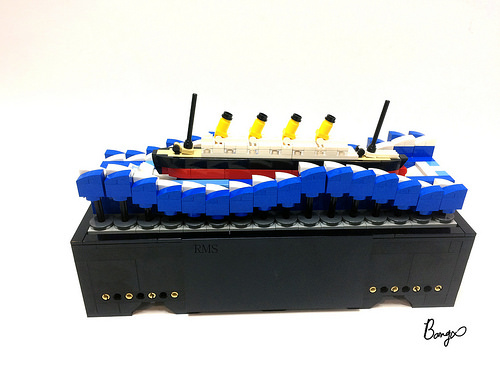 Korean builder Bangoo H has created a nifty little display model of the world’s most famous passenger liner. The repeated pattern of blue and white slopes for the waves is a lovely representation. But you must check out the video below to get the full effect. The mechanism of the rolling waves is truely hypnotic and far more peaceful than what passengers would have really experienced on that fateful North Atlantic voyage. 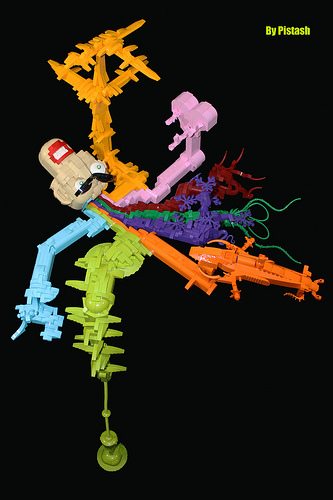 When you see a surreal and colourful sculpture such as French builder Pistash‘s “Colors in da head”, it will obviously catch your eye. But something else triggered in the back of my mind when I first saw it. There was a subconscious familiarity that drew me to it. Upon reading his description, I realized what that familiarity was. Pistash says that he was inspired by French artist Moebious — in particular, his Hendrix work — and as a teenager one of my favourite posters I had was Hendrix Voodoo Soup, for which Moebious did the cover art. 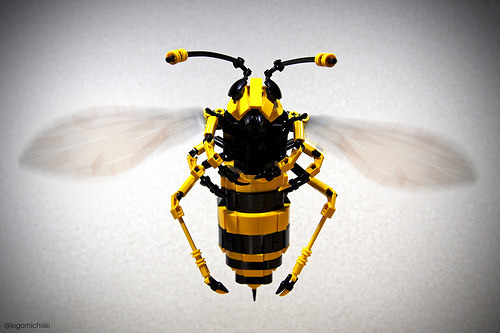 The Moebious inspiration notwithstanding, I think it is safe to say that as LEGO builders we can all relate to the feeling of ideas and inspiration pouring out of our minds when we build. It is certainly a more welcome feeling than the alternative…the dreaded builder’s block! Toronto builder Mel Finelli has built a rather wonderful model of the character from the 2012 indie game Journey. I am the first one to admit that apart from Mario Kart I don’t know a ton about most video games, in particular when they are indie, but that doesn’t take away from the appreciation I have for Mel’s beautiful model. 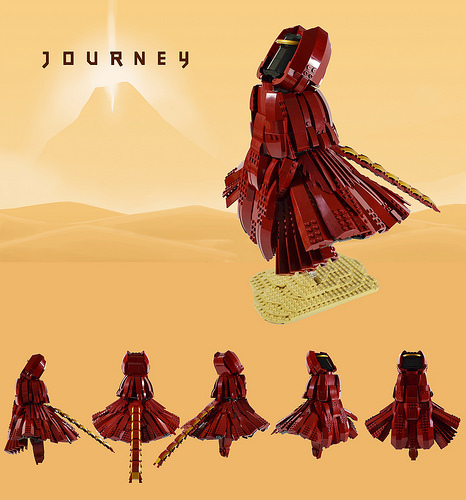 She has done a fantastic job of layering curves and slopes to create the flowing robes of the character, something that is anything but easy to do with LEGO. The resulting 15″ character is interesting to look at from every angle, which Mel was nice enough to provide in her composite image. 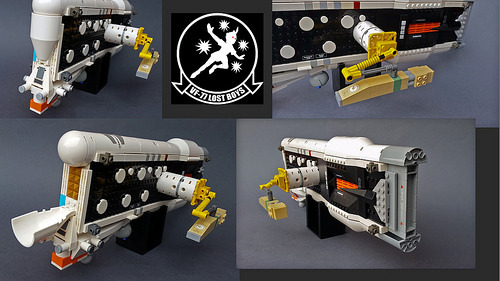 Those of you that are lucky enough to be going to BrickCan this weekend will be able to see the model in person. Gundams are cool and all, but it is pretty clear that when it comes to wicked awesome mecha designs, the Principality of Zeon takes the cake. The amphibious Hygogg is one of my favourite of the zanier designs, and Ryan (graybandit2000) did a bang up job on this version.